«The atmosphere in the exhibition halls was very positive,» notes Christopher Boss, director exhibition EUROGUSS, NürnbergMesse. «The three exhibition halls were booked out down to the last square metre. For the next edition of EUROGUSS we will expand into a fourth hall to enable the fair to grow still further.» Every second exhibitor is international More than half of the 641 exhibitors at EUROGUSS (54 percent) came from abroad. Besides Germany (297 exhibitors), the top exhibitor countries in Europe were Italy (128 exhibitors), Turkey (23 exhibitors), Spain (19 exhibitors), and Austria and the Czech Republic (14 exhibitors each). They had a broad range of products and services on display – from die-cast components to materials, furnaces, die-casting machines and moulds, through to post-processing, quality control and R&D. 94 percent of trade visitors happy with what the exhibition had to offer Trade visitors – mainly manufacturing specialists, developers and purchasers from the automobile (and automobile supplier) industry and other sectors – travelled to Nuremberg from more than 60 countries. There was another marked increase in the proportion of international trade visitors. The strongest countries of origin were in Europe: after Germany, the majority came from Italy, Austria, the Czech Republic, Turkey, Poland, Spain, Switzerland and France. 94 percent of trade visitors were happy with what EUROGUSS had to offer, and 90 percent of the visitors are involved in making the procurement decisions in their respective businesses. Die-casting events from NürnbergMesse around the world The NürnbergMesse Group expands on the positioning of its successful events at its base location in Nuremberg via its product families located around the world. 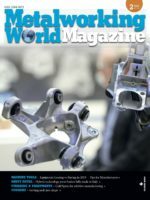 It sees itself as a trail-blazer for die-casting foundries and their equipment suppliers in Germany and throughout Europe that are seeking to trade internationally or intensify their business relationships. Previous Post Metals Technology Industry Collective Action Welcomes New Member Next Post FIMI SpA German Branch is born. Welcome FIMI GmbH!